Cynicism gave way to incredulity, hope and jubilation, when after several failed attempts, a broad political consensus was reached between the ruling Congress and the principal opposition party, the BJP, on the issue of the Lokpal Bill lying on the backburner for decades, which eventually culminated in the Parliament passing the Lokpal and the Lokayuktas Bill, 2013 in December, 2013, thereby paving the way for establishment of an ombudsman to fight corruption in public offices and ensure accountability on the part of public officials, including the Prime Minister. The Bill received the Presidential assent on the 1st of January 2014 and has since been notified. Some of the salient features of the Bill (as it then was) have been the subject matter of an article written by my colleague, and Associate Editor of Live Law, Rituparnaa Duttaa and published in this website on 18th December, 2013, wherein the points of difference between the Lokpal and the Lokayuktas Bill and the Jan Lokpal Bill have also been highlighted. This article is intended to provide an objective assessment of the Act in its totality, highlighting the ‘pros’ and discussing the possible ‘cons’, of the statute and reaching a conclusion on the effectiveness of the Act in tackling corruption in public offices. The first step taken towards the creation of a post of Ombudsman (‘Lokpal’ in Hindi) in India dates back to 1963, when the word ‘Lokpal’ was coined by a parliamentarian, Sri. L.M. Singhvi during the course of a parliamentary debate. Thereafter, the Administrative Reforms Commission (ARC) headed by Morarji Desai submitted an interim report on "Problems of Redressal of Citizen's Grievances" in 1966. In this report, the ARC recommended the creation of two special authorities designated as 'Lokpal' and 'Lokayukta' for redress of citizens' grievances. 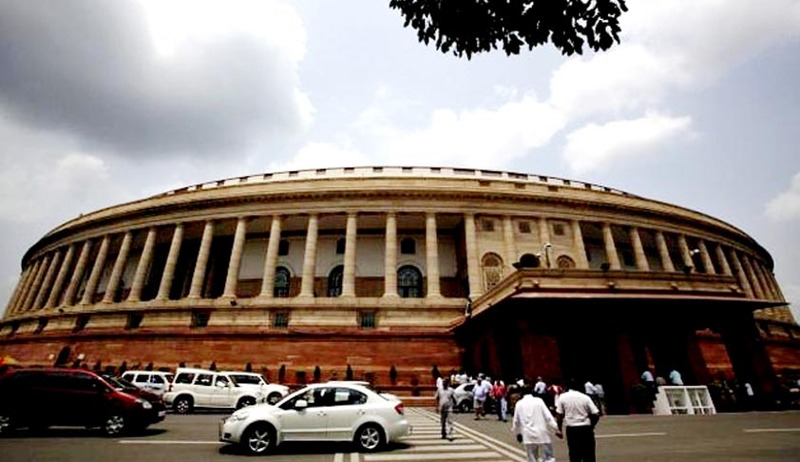 The Lokpal bill which was first introduced in the Lok Sabha in the year 1968, could not be enacted, lapsing after the fourth Lok Sabha session dissolved. Several attempts were made to introduce and secure the passage of the Lokpal Bill in Parliament thereafter, but each attempt culminated in failure. The Lokpal Bill which had been the proverbial Achilles’ Heel of successive ruling dispensations at the Centre could not be passed till December 2013, owing primarily to a lack of political will and also, as R.K. Raghavan, Former Director, CBI in an article in ‘The Hindu’, put it, ‘a fear of the unknown’. In the final analysis, what really made the passing of the Lokpal Bill inevitable in a sense, and explains the urgency with which the political establishment pushed through with the legislation, was the stunning political debut of the Aam Aadmi Party in the Delhi Assembly elections, combined with the relentless pressure exerted by the anti-corruption crusader, Anna Hazare and the India Against Corruption (IAC) movement supported by numerous other civil society organizations, and the campaign led by an unusually vocal and pro-active media. The Lokpal and Lokayuktas Act aims to check corruption through the establishment of an independent body at the national level, called the Lokpal which would be empowered to receive complaints relating to corruption against a public servant as referred to in clauses (a) to (h) of sub- section (1) of Section 14 of the Act, and ensure that these are properly investigated, and if found necessary, to initiate prosecution against delinquent public servants, who come under the purview of the Act. The processing of complaints, causing investigation to be done in respect of the complaints, and initiation of prosecution are all contemplated under the Act to be completed in a time-bound manner. The Act provides for the setting up of special courts which have been given the mandate of completing trials within a period of one year (extendable up to 2 years for reasons to be recorded in writing) and provides for Lokayuktas to be set up at the State level by the respective states within a period of one year, but leaves it to the States, the task of filling in the details, presumably out of deference to the concerns voiced by several states over erosion of federalism if the Lokayuktas were to be forced upon them by the Centre. The Chairperson of the Lokpal and its members are to be appointed by the President of India after obtaining recommendations of a Selection Committee consisting of the Prime Minister, the Speaker of the Lok Sabha, the leader of the Opposition in the Lok Sabha, the Chief Justice of India or a judge of the Supreme Court to be nominated by the CJI, and one eminent jurist, as recommended by the Chairperson and other members. The Selection Committee, in turn, will constitute a Search Committee consisting of at least seven persons to shortlist and recommend to the Selection Committee, a panel of eligible candidates for appointment as Chairperson and members of the Lokpal. At least, half of the members of the Lokpal (and the Search Committee) must be from amongst persons belonging to the Scheduled Castes, Scheduled Tribes, Other Backward Classes, minorities and women. The Act empowers the Lokpal to receive complaints alleging offences punishable under the Prevention of Corruption Act, 1988 by public servants from the Prime Minister downwards, Ministers, Members of Parliament, Officers of the Government of India (all levels) and against any entity wholly or partly financed by the Government with an annual income above a specified limit, and also bodies receiving donations from foreign sources in excess of Rs.10 lakh a year. The Act states that on receipt of complaint against any public servant not being an officer of Group A, B, C or D category, the Lokpal will order a preliminary enquiry against the said public servant. For this purpose, the preliminary enquiry could be done, either by its own inquiry wing (as provided for in Section 11 of the Act) or any agency including the Delhi Special Police Establishment (or the ‘CBI’ as it has come to be popularly known), while in respect of complaints against an officer of Group A, B, C or D category, if the Lokpal chooses to proceed with the preliminary enquiry, it will refer the complaint to the Central Vigilance Commission (‘CVC’ for short) for the said purpose. After the completion of the preliminary enquiry, in case of an officer belonging to Group A or B category, the CVC will submit its report to the Lokpal, while in case of an officer belonging to Group C or D category, the CVC will proceed in accordance with the provisions of the Central Vigilance Commission Act, 2003. Upon receipt of the report of the preliminary enquiry (in case of an officer belonging to Group A or B category and other public servants), the Lokpal will then proceed to give an opportunity of hearing to the public servant concerned, and if it then decides that there exists a prima facie case, order an investigation either by the Delhi Special Police Establishment or recommend departmental proceedings or ‘any other appropriate action’ against the said public servant concerned by the competent authority or order closure of the proceedings against the public servant concerned and to proceed against the complainant for making false or vexatious complaint (see Section 46 of the Act). Section 20(4) of the Act states that the investigation must be completed within a period of 90 days, which can be extended by a further period of 90 days from the date of the receipt of the complaint. The investigation report submitted before the Lokpal shall then be considered by a Bench consisting of not less than three members of the Lokpal and after obtaining comments of the competent authority and the public servant may either grant sanction to its Prosecution Wing or investigating agency to file charge-sheet or direct filing closure report before the Special Court against the public servant or direct the competent authority to initiate the departmental proceedings or any other appropriate action against the concerned public servant. For the purpose of conducting any preliminary inquiry or investigation, the Lokpal is empowered under the Act to utilise the services of any officer or organisation or investigating agency of the Central Government or any State Government, as the case may be. In what could be among the most crucial provisions in the Act, Section 25 of the Act states that the Lokpal shall, notwithstanding anything contained in section 4 of the Delhi Special Police Establishment Act, 1946 and section 8 of the Central Vigilance Commission Act 2003, have the powers of superintendence over, and to give direction to, the Delhi Special Police Establishment in respect of the matters referred by the Lokpal for preliminary inquiry or investigation to the Delhi Special Police Establishment under the Act. Special Courts constituted under Section 35 of the Act are to ensure completion of the trial within a period of one year from the date of filing of the case in the Court which period can be extended to a maximum of 2 years, for reasons to be recorded in writing. Complaints of wrong doing against any officer or employee or agency (including the Delhi Special Police Establishment) are to be dealt with under the provisions of Section 38 of the Act. Having obtained a bird’s eye view of the breadth and depth of the Act, let us now proceed to evaluate its merit objectively, and flag any possible shortcomings that could have an adverse impact on the effective functioning of the Lokpal. Perhaps, the most striking feature of the legislation is Section 29, which empowers the Lokpal to provisionally attach any proceeds of corruption, or property suspected to have been acquired by an accused through illegal means. This order of attachment can be extended by the Special Court which can also keep the material attached in its custody. Such action will not have to wait until the prosecution successfully establishes the charge in a court of law. Further, the Act stipulates that transfer of officers investigating the cases referred to the Delhi Special Police Establishment by the Lokpal, shall be done only with the approval of the Lokpal. These provisions thus, ensure a significant degree of protection, autonomy to the officers of the Delhi Special Police Establishment from political interference in the course of investigation of cases referred by the Lokpal. It might be pointed out as a possible short-coming that the budget of the Delhi Special Police Establishment will ontinues to be determined by the Union Government and that might make it vulnerable before the Union Government, but that seems a wild, and far-fetched proposition and only a theoretical objection, particularly since we are living in times where the possibility of a single party securing an absolute majority all by itself at the Centre, and then proceeding to control or manipulate institutions like the Delhi Special Police Establishment to its advantage, seems very unlikely. Giving complete financial and administrative control over the Delhi Special Police Establishment as some are advocating, might be unnecessary and impractical in view of the fact that the Delhi Special Police Establishment will continue to investigate crimes referred to it by the various State Governments which are outside the ambit of the Lokpal and it is not as if, the Delhi Special Police Establishment will be converted to an exclusive Prosecution wing of the Lokpal, which clearly is not the intention of the Legislature. The other positive of the Act, is the stipulation for completion of trials by Special Courts within a maximum period of two years, which is a welcome step towards speedy trial and disposal of corruption-related cases. What is in the realm of ambiguity though, is that the Act does not specify the consequences of non-completion of trial within a period two years. Would it lead to the accused being let-off for non-compliance with a procedural formality? It would be preposterous if this loophole in the Act were to work in favour of an accused and lead to his/her acquittal. One wishes that the Act had been more specific on this crucial aspect. Perhaps, we need to await an amendment by the Parliament or a judicial pronouncement in the days ahead, to clear the confusion. The need for obtaining sanction from the respective governments to initiate prosecution has been waived for cases cleared by the Lokpal. This also is a major highlight of the Act. However, it is curious, that the Act is silent on whether or not , it would be necessary to obtain sanction from respective governments to initiate inquiry or investigation, but then this seems absurd given the fact that if the Act has waived the need for obtaining sanction from respective governments to initiate prosecution, which is the third stage after receipt of the complaint, it cannot be construed that the Parliament intended the Lokpal to secure sanction before proceeding against the accused public servant in respect of the first two stages, namely in the matter of preliminary enquiry and investigation. Where the Act does seem to fall short, is in ensuring the accountability of the Lokpal and the officers of the Lokpal. The Act provides for the Lokpal itself dealing with complaints against its officers, which seems to be contrary to the very rationale for setting up an independent body like Lokpal. Given the fact that the Lokpal and its officers will be holding important and powerful posts, possibility of corruption in this august office itself cannot be ruled out, and one wonders how independent and impartial an investigation by the Lokpal against its own staff is going to be. The fact that the constitution of the Lokayuktas has been left to the States is another shortcoming of the Act, for uniformity in the constitution and powers of the Lokpal and Lokayuktas has been sacrificed. It might result in many states setting up weak and ineffective Lokayuktas which could become paper tigers. The interplay between the Central Vigilance Commission and the Lokpal and the Delhi Special Police Establishment will be something that merits a close watch in the days to come. Will the Delhi Special Police Establishment be answerable to yet another statutory body and in what manner it would impact the functioning of the Delhi Special Police Establishment remains to be seen. Further, Section 4(1)(d) of the Act providing for the inclusion of the Chief justice of India or his nominee in the Selection Committee could be challenged on the grounds of constitutionality and bias, given the fact that there would be an obvious conflict of interest when the Chief Justice of India or his nominee who could well be appointed the Lokpal are themselves part of the Selection Committee that is to recommend to the President, the names of the persons to be appointed as the Lokpal and its members. A writ petition raising this very critical question of law has been admitted by the High Court of Kerala and is pending adjudication. Read the news report here. Another possible flaw in the Act is that the removal of the Lokpal as provided for in the Act, might well prove to be an extremely cumbersome process, much like impeachment of judges of the High Court and Supreme Court by Parliament. To conclude, if one were to view the Act from a pragmatic perspective, it would be difficult to not escape the conclusion that the Act, despite its shortcomings-some imagined, some real, is a positive and strong step forward, in combating corruption. It is debatable if the Jan Lokpal Bill might not have been the better of the two, but given the prevailing political situation in the Country, we have obtained a reasonably good Act whose shortcomings can be resolved in due course of time, either by pro-active judicial intervention, or through the parliamentary route. However, with the benefit of hindsight, one feels that the Parliament should not have pushed through such a critical piece of legislation in haste, without properly addressing some of the issues that have been flagged above. The criticism of the Act in some quarters that it does not ensure an independent investigative agency under the Lokpal is not entirely true for reasons set out earlier. The Act might not have gone the whole way as demanded by the critics of the Act, but it has covered substantial ground in ensuring the setting up of a sufficiently autonomous and strong investigative agency. If the provisions of the Act are properly given effect to, that would, without doubt, act as a strong deterrent to the corrupt forces in the country. The Lokpal will undoubtedly be the lynchpin of the nation’s war against corruption in the days to come. All in all, the Lokpal and Lokayuktas Act is a piece of salutary legislative reform which is long overdue and marks the culmination of an unimaginably long process which was set into motion by Sri.L.M. Singhvi way back in 1963 when he first coined the word ‘Lokpal’. Last but not the least, let us spare a thought for the anti-corruption crusader Anna Hazare and the idealistic young men and women of this country who took to the streets in their campaign for setting up a Lokpal which galvanized the masses and captured the imagination of the entire nation and shook the political establishment to its foundations. Some share of the credit, it has to be said, goes to this selfless crusader and the idealistic young men and women of this country who heeded Anna’s call, for without them, the Lokpal would have in all possibility, continued to remain a mirage.